A new process sensor has been on the market since the beginning of September: the Cobrix 2600 is theentry-level model for the simultaneous measurement of dissolved carbon dioxide (CO2) and sugarcontent in non-alcoholic beverages. 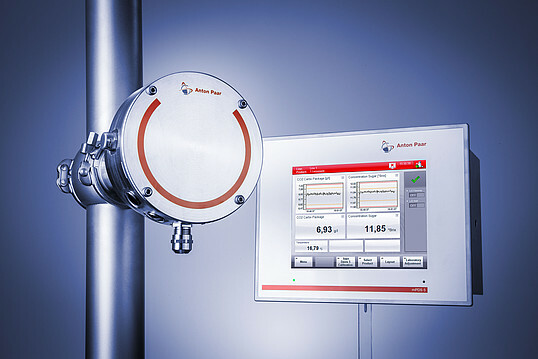 The sensor is integrated directly into the production process via a standardized connection and is of interest to producers of carbonated softdrinks who have not previously used process measurement. The sensor is available with and without display; in the latter case, an evaluation unit is required. The Cobrix 2600 is an advanced version of the Carbo 520 Optical. 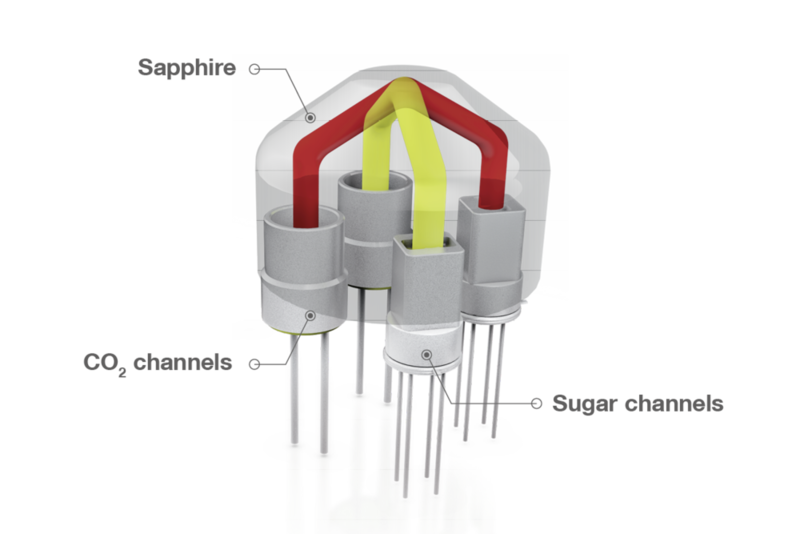 "Our Cobrix 2600 sensor is the first on the market with which CO2 and sugar can be measured simultaneously," says Jörg Christian Seit, product manager for the Carbo and oxygen process sensors. The special feature of this type of sensor is its smart measuring system, which is based on "attenuated total reflection" (ATR). The core of the measuring system is a "gemstone,“ a ground sapphire crystal, about the size of a thumbnail. The finishing is made precisely in such away that an infrared beam is reflected three times inside this crystal before it hits the detector. If CO2 is present outside the sapphire, the infrared ray (IR) is attenuated. The attenuation is measured at precisely the wavelength at which carbon dioxide absorbs infrared light. Thus, the CO2 content can be determined via the damping of the IR signal. Furthermore, there is a second, equally functioning measuring channel in the crystal to analyze the sugar content. According to product manager Seit, the production of the sensor units is sophisticated and time-consuming. E.g., the sapphire is connected to the polished stainless steel housing with a gold solder in a clean room. The result is a maintenance-free product that delivers a precise measurement result every four seconds of the production process. However, the sensor is not suitable for alcoholic and sugar-free beverages.